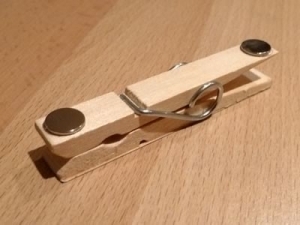 Homemade refrigerator clips constructed from wooden clothespins and neodymium magnets. Quite a useful idea. Should be a practical tool in a workshop too.